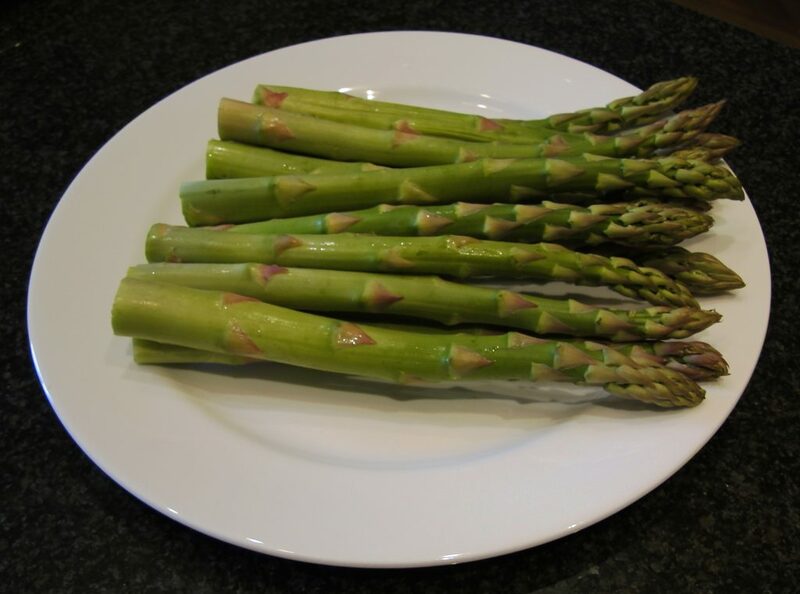 From late March, the beautiful fresh green spears of asparagus, from the Tarn and Aude, will appear on the markets. This great, yet simply, recipe has been a favourite at La Villa since we served it first in 2009. Wash your asparagus under cold water. Place on a chopping board and cut into 3 cm lengths, avoiding the woody ends at the base. You want to be left with 900 grams; reserving 12 of the tips for decoration. in a large non-stick saucepan, gentle melt the butter; add the diced onion and sweat down for 5 mins. Add the prepared asparagus & season with salt & pepper; stir well, pop the lid on the pan and sweat down for 10 mins further over a medium heat. Sprinkle over the plain flour, stir until fully combined and gently pour over the stock, stirring at the same time. Keep over a medium heat for 25 mins and then remove from the heat. Using a food processor, blend in batches until you have a silky-smooth consistency. 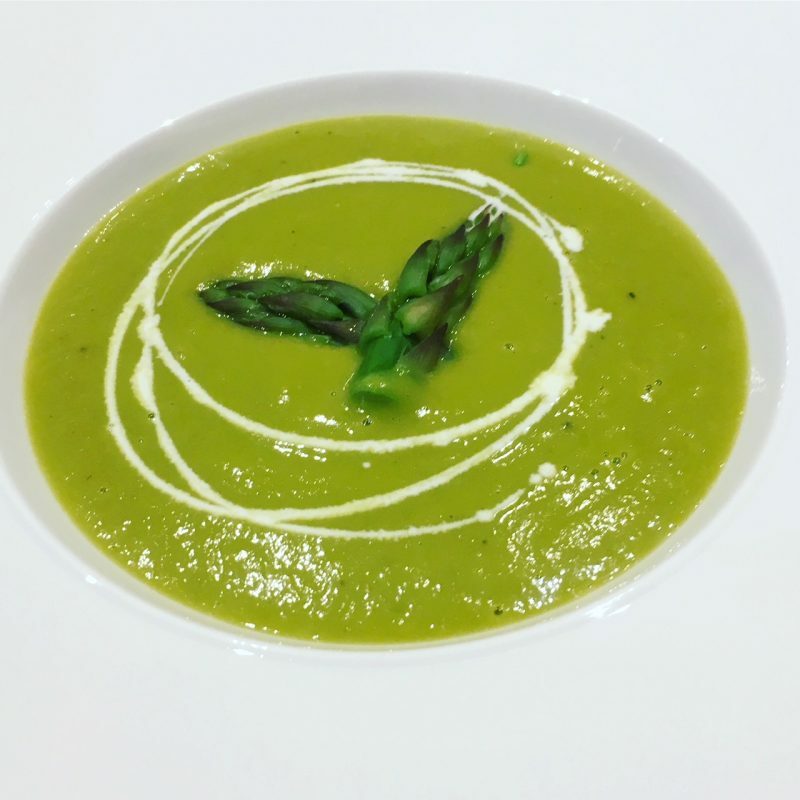 Served in warmed soup-bowls, top with two of the reserved asparagus tips (which you can blanch in advance to al-denté) and finish with a swirl of cream.